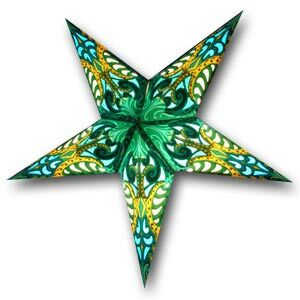 "Green Java Trance Star Lamp"
stained glass. The intricate green and yellow design will glow niceley at night. This is a beautiful star lamp. "Blue Java Trance" "Lavender Java Trance"